Nazilla Khanlou, RN, PhD, is the Women's Health Research Chair in Mental Health in the Faculty of Health at York University and an Associate Professor in its School of Nursing. 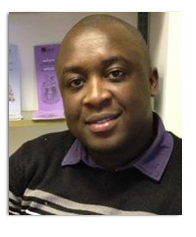 Professor Khanlou's clinical background is in psychiatric nursing. Her overall program of research is situated in the interdisciplinary field of community-based mental health promotion in general, and mental health promotion among youth and women in multicultural and immigrant-receiving settings in particular. She has received grants from peer-reviewed federal and provincial research funding agencies. 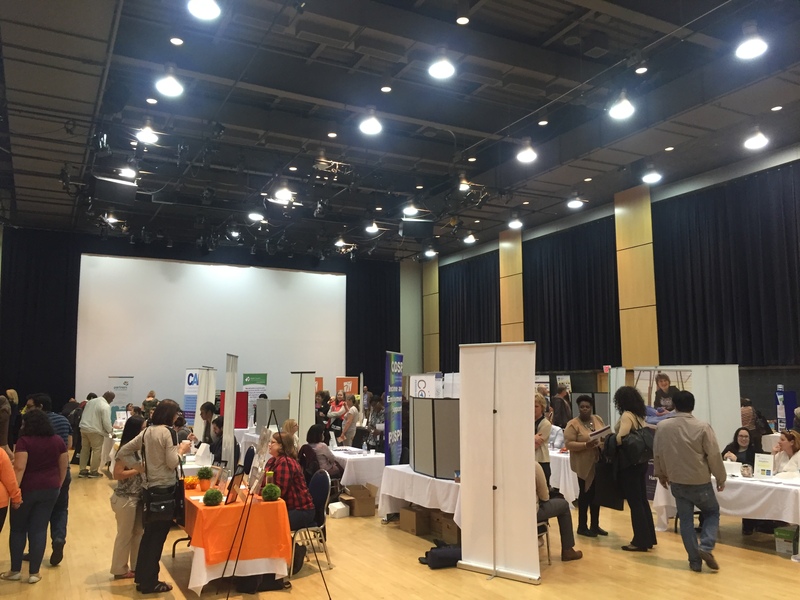 Dr. Khanlou was the 2011-2013 Co-Director of the Ontario Multicultural Health Applied Research Network (OMHARN). She is founder of the International Network on Youth Integration (INYI), an international network for knowledge exchange and collaboration on youth. She has published articles, books, and reports on immigrant youth and women, and mental health. She is involved in knowledge translation to the public through media. 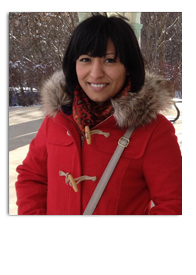 Luz Maria Vazquez, MSc, PhD is the research coordinator of the Office of Women's Health Research Chair in Mental Health in the Faculty of Health at York University. 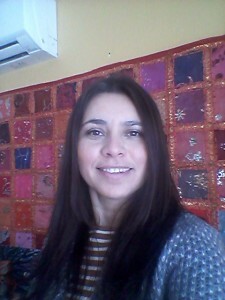 Luz is a PhD from the Department of Sociology at York University. She worked for more than ten years in a research center in Mexico where she acquired strong research skills based on extensive ethnographic and qualitative work in Latin American contexts – Mexico, Belize and Guatemala. She has collaborated in a wide array of issues such as violence against pregnant women, social perceptions, local governance, resource management, conservation and climate change. Chang Su, MA, PhD is the inaugural Lillian Wright Post Doctoral Fellow of the Office of Women's Health Research Chair in Mental Health in the Faculty of Health at York University. 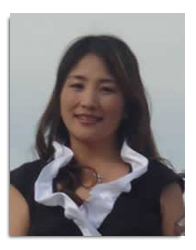 Dr. Su received her PhD in Social and Personality Psychology at York University in 2010 and has over ten years of teaching experience in psychology. Dr. Su has taught psychological courses in both China and Canada including at Ryerson University, York University and University of Northern British Columbia. 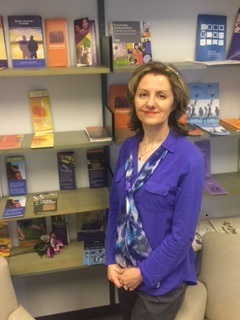 She has been working with Dr. Gordon Flett on cross cultural comparisons of the relationship between perfectionism, perfectionistic self-presentation and mental health on undergraduate students. They co-authored a series of studies on perfectionism and mental health on Chinese primary school students, high school students and junior high school students in mainland China. 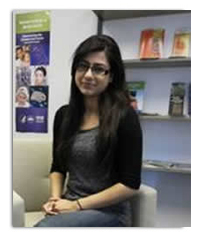 Nida Mustafa, is a research assistant at the Office of Women's Health Research Chair in Mental Health in the Faculty of Health at York University working with Dr. Nazilla Khanlou. 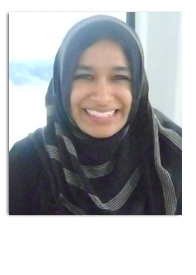 Nida is a PhD student at the Dalla Lana School of Public Health at the University of Toronto. She has completed an Honours Bachelor of Life Sciences specializing in Psychology from the University of Toronto, and a Masters degree in Health Sciences focusing on women’s mental health from the University of Ontario Institute of Technology. She has examined eating disorders in minority women, and is interested in immigrant mental health advocacy. Nida is currently exploring the issue of female feticide in South Asia, as well as within the Canadian context. 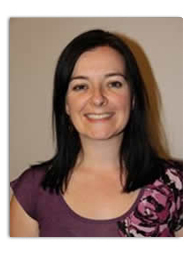 Sinead Sheehan BScN, RN, is a is an affiliate of the Office of Women's Health Research Chair in Mental Health Research in the Faculty of Health at York University. 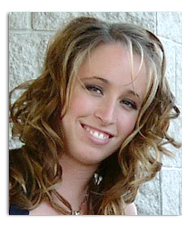 Sinead's is currently enrolled in the Masters of Science in Nursing program at York University. She has worked at The Hospital for Sick Children, ErinoakKids and with Peel Public Health and is an active member of the RNAO. 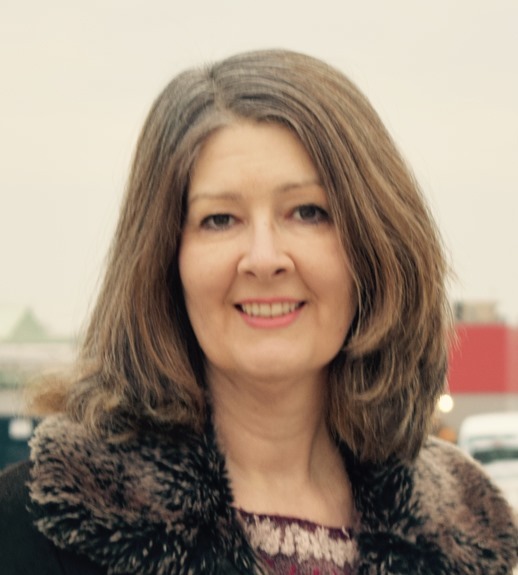 Andrea Skinner, BSc., BScN, RN, is an affiliate of the Office of Women's Health Research Chair in Mental Health Research in the Faculty of Health at York University. 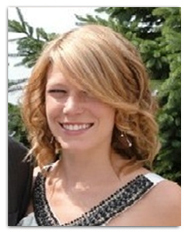 She is currently enrolled in the Primary Health Care Nurse Practitioner Program at York University. Andrea holds her CNA Certification in Medical-Surgical Nursing and is currently practicing as a Registered Nurse in the Trauma Unit at Sunnybrook Health Sciences Centre. Sheila Jennings is an affiliate of the Office of Women's Health Research Chair in Mental Health Research. As a doctoral student at Osgoode Hall Law School Sheila has been researching the legal right to support of mothers and their disabled children in Canada. In 2016 she received a two-year SSHRC post-doctoral award to conduct research at the University of Toronto to examine aspects of legal consciousness with support-seeking mothers with disabled children. 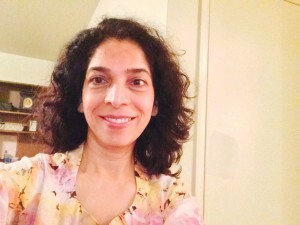 Wajma Soroor is an affiliate of the Office of Women's Health Research Chair in Mental Health Research in the Faculty of Health at York University. Wajma's interests and experiences span from global leadership, and performance art to academic research in the social determinants of health for newcomer and refugee populations in Canada. Emma Oudeh, BA Hons., BScN, is an affiliate of the Office of Women's Health Research Chair in Mental Health in York University's Faculty of Health. 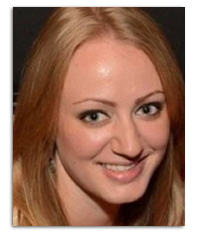 Emma previously worked as a graduate assistant for Dr. Nazilla Khanlou. She received the Krembil Research Award from the University Health Network for her research project on congestive heart failure self-management and education. Emma is currently practicing as a registered nurse in the coronary care unit at Southlake Regional Health Centre and previously worked in the acute-care cardiology unit at Toronto Western Hospital. Emma is enrolled in the primary-health-care nurse practitioner graduate program at York University and will soon complete her coronary care and critical care certificates. Emma is excited to pursue her interests in health promotion and disease prevention in the context of women's health and maternity in the primary care setting. Farah Islam, MSc, PhD, is an affiliate of the Office of Women's Health Research Chair in Mental Health in the Faculty of Health at York University. She completed her doctoral studies in the Kinesiology and Health Science program at York University. She has a postdoctoral position at the Social Aetiology of Mental Illness (SAMI) Training Program - Centre for Addiction and Mental Health (CAMH). Farah is passionate about breaking down the barriers of mental health stigma. Her research focuses on migration, racialization, culture, and ethnicity as social determinants of mental health using both epidemiology and mixed methods research. Alexis Buettgen, BA Hons., MA, is an affiliate of the Office of Women's Health Research Chair in Mental Health in the Faculty of Health at York University. She is currently a doctoral student in the Critical Disability Studies program at York University where she is interested in bridging the gap between academic knowledge and community action by contributing to emerging research that promotes transformative change in poverty reduction, human rights and international development.Most of Alexis' research and academic career has been influenced by her community involvement and passion for social justice. Her community involvement includes more than 10 years experience working and volunteering with several marginalized population groups including people with disabilities and other complex needs. She has more than five years experience in community based research that has been local, provincial, national and international in scope. She is skilled in both qualitative and quantitative methodology, as well as project development and coordination. Jude Nzuonkwelle Bsc,. BScN, RN, is an affiliate of the Office of Women's Health Research Chair in Mental Health. Jude is currently enrolled in the Primary Health Care Nurse Practitioner (PHCNP) program at York University and has been working as an emergency crisis nurse at the Centre for Addiction and Mental Health and a Healthy lifestyles nurse at the City of Toronto. Jude has held staff nurse positions in psychiatry and community health nursing, has been a clinical educator, nurse case manager, and undergraduate student preceptor. He has developed particular expertise in best practices related to working with marginalized populations and clinical management of clients in crises and emergency. Jude is also currently involved in the Best Practice Spotlight Organization initiative as a working group co-lead for the Best Practice Guideline: Assessment and Care of Adults at Risk of Suicide. Meghan Saari BScN, RN, is an affiliate of the Office of Women's Health Research Chair in Mental Health. Meghan is currently enrolled in the Primary Health Care Nurse Practitioner (PHCNP) program at York University and has been working as an emergency nurse ever since. Sadora Asefaw is an affiliate of the Office of Women's Health Research Chair in Mental Health. She is in the International Development Studies Program. Sadora's area of interest include the delivery of culturally sensitive programs and services to families and people in the disability community, the overrepresentation of racialized children in special education classrooms and how rofessional organizations can track outcomes for people with disabilities of diverse backgrounds as a tool to make meaningful changes in policies, resources and services delivery. Sadora brings with her over 6 years of hand-on experience in working in the disabilities field. Neda Safaee-Rad is a research volunteer at the Office of the Women’s Health Research in Mental Health in the Faculty of Health, York University. 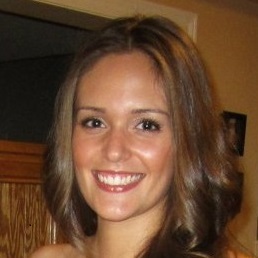 She finished her second year in Psychology and Neuroscience at McMaster University. Beginning this fall, Neda will be entering her third year at the University of Toronto, studying Psychology in the Faculty of Science. What motivates Neda is the potential impact her studies and volunteer work could have on the mental health and wellbeing of new mothers struggling with their children who have developmental disabilities. She is fascinated with the relationship between art and its effects on the brain. Attia Khan, MBBS, MSPH has been practicing as a physician and is now pursuing a doctoral degree in Health Policy and Equity at York University. Her doctoral research focuses on youth mental health at the intersection of migrant status, social identities and the social determinants of health. Dr. Nazilla Khanlou, the Women's Health Research Chair in Mental Health in the Faculty of Health at York University is supervising her doctoral thesis. Other research interests and experience of Attia Khan span from psychosocial aspects of bariatric surgery, HIV/AIDS community supports, and healthcare service costs. Candice Christmas is an affiliate of the Office of Women’s Health Research Chair in Mental Health. She has a dual major DEC in psychology and philosophy from John Abbott College, a Minor in Political Science from McGill, a BA Honours in History and a Master of Arts in Health Geography from Queen’s University. 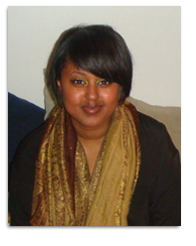 She is a doctoral student in Health Policy and Equity at York University, focusing in youth and mental health. With 13 years of experience in project management of inter-disciplinary research in the private and public sectors, locally, regionally, provincially, nationally and internationally, Candice is an expert in knowledge translation and exchange. She has been a recipient of the Lillian Wright Maternal & Child Health Scholarship and the Penelope Jane Glasser Award. 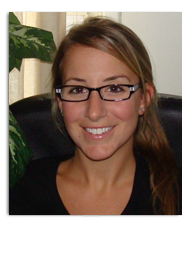 Cassandra Marroccoli RN BScN is a Graduate Assistant of the Office of Women’s Health Research Chair in Mental Health. Cassandra is also in her first year of the Masters in Nursing/Primary Health Care Nurse Practitioner program at York University. Her background is in Acute Medicine and she has worked on several projects for her work place to improve patients’ experience while in hospital and awaiting long-term care placements. Cassandra minored in psychology for her undergraduate degree and is interested in furthering her knowledge as well as improving patient outcomes for individuals with mental health disorders.